Situated by Blackfriars bridge, The Mermaid London has a rich cultural heritage from its time as a fully operating theatre which staged many successful productions from the 1950’s. 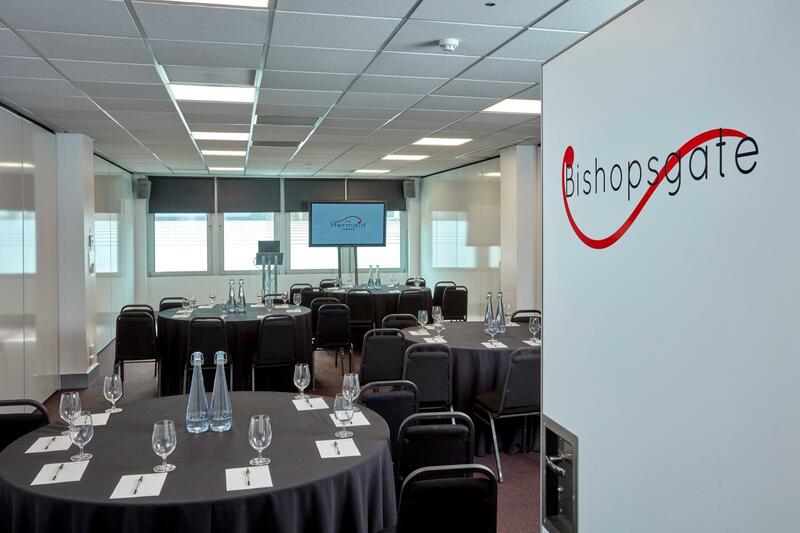 Now as a vibrant conference and events centre in the heart of the City of London, the venue has the versatility and facilities to cater to a wide-range of events including conferences, product launches, live-productions, seated dinners, private parties and weddings. The venue offers nine flexible and dynamic spaces. At the heart of the venue is the Auditorium, boasting tiered seating for 600 people with excellent sight lines to the stage and unrivalled acoustics. 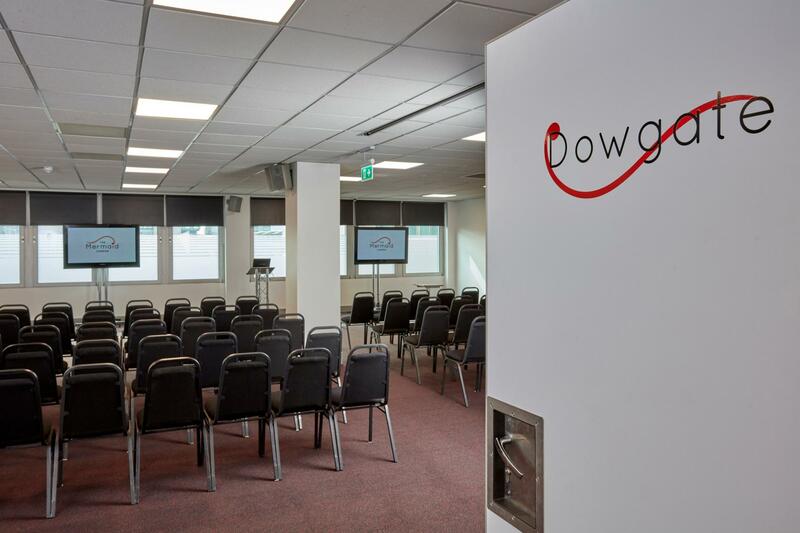 This amazing space is perfectly suited to cater to conferences, product-launches and events for up to 600 people. The staged area can also be used for post-event drinks receptions or gala dinner for up to 400 delegates. If you're looking for a blank-canvas space with branding potential, the River Rooms have a modern and contemporary feel. 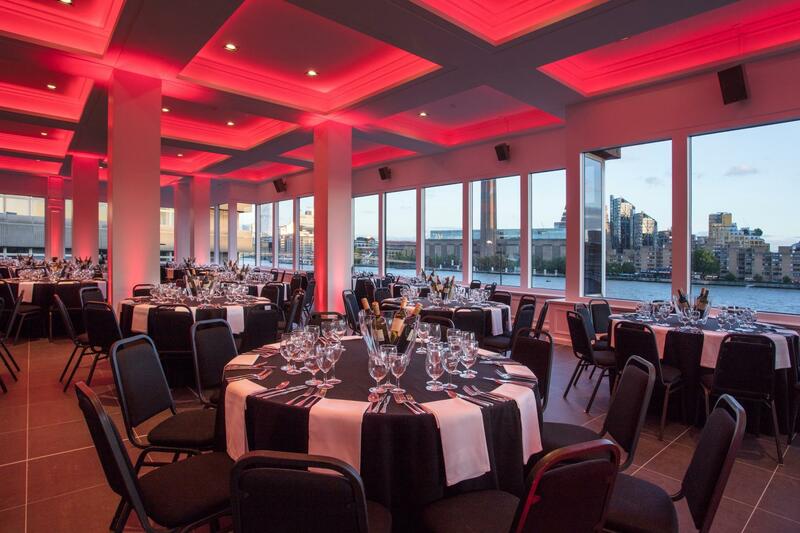 Panoramic windows span the length of both rooms, framing views of the River Thames, The Shard, Tate Modern and Shakespeare’s Globe, creating a spectacular backdrop to any event. 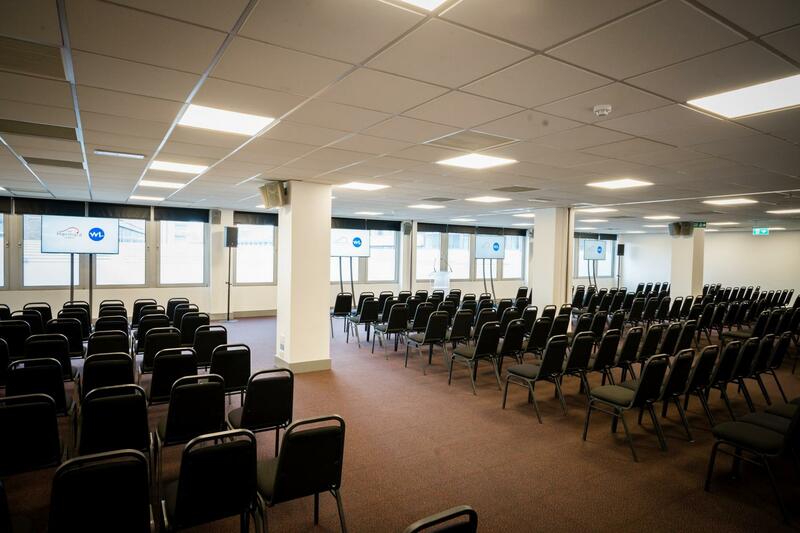 Located on the first floor of The Mermaid London, this event space can seat up to 330 delegates in a theatre style. This space is incredibly well equipped and designed to meet the needs of exhibitors and larger conferences. 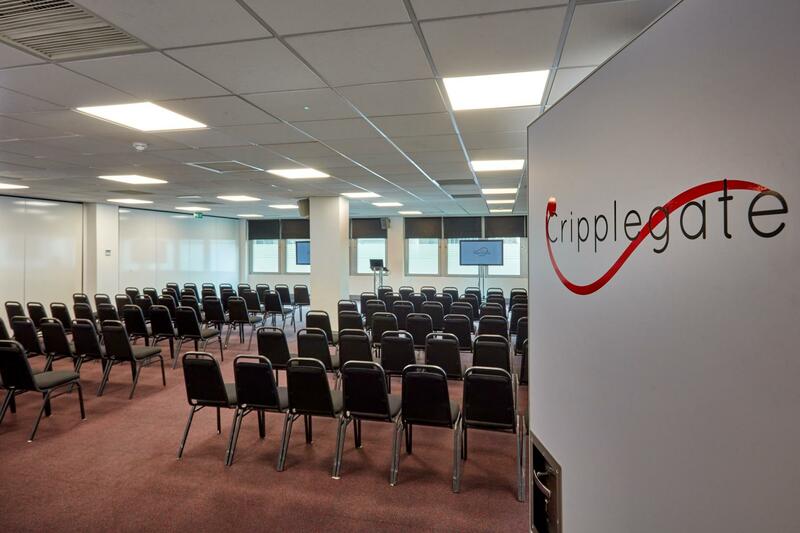 It’s also extremely flexible with interconnecting walls that can be divided into four smaller spaces; Aldgate, Bishopsgate, Cripplegate and Dowgate, or when using Bishopsgate, Cripplegate and Dowgate this makes the Newgate event space. The walls can also be used as whiteboards, so your meeting can get creative! The Mermaid London recently won the ‘Most Versatile London Venue – Under 1,000 Attendees’ award at the 2018 London Venue Awards. 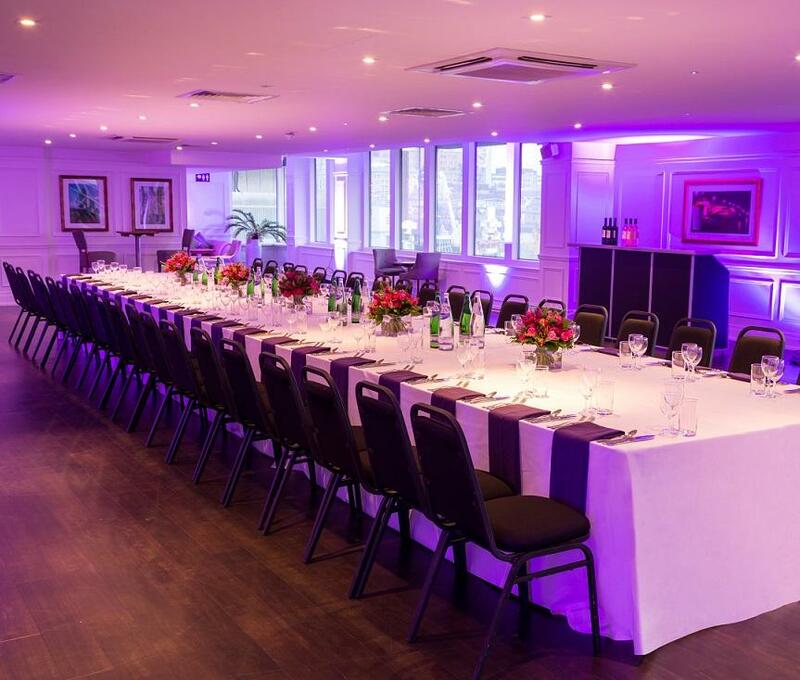 Boasting panoramic views of London's iconic skyline including sights of Tate Modern, Shakespeare's Globe and The Shard, the stylish and versatile Lower River Room has been designed with intimate to medium-sized events in mind. Versatile, stylish and contemporary, the Upper River Room is the perfect space for many events including conferences, evening receptions, weddings, gala dinners and award ceremonies. 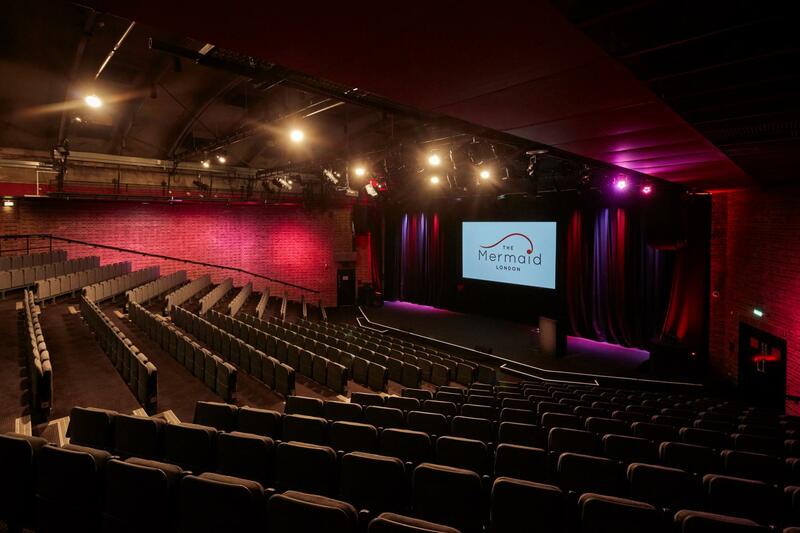 At the heart of our venue is an impressive Auditorium with tiered seating for 600 people. With unrivalled sight lines to the stage, this space offers outstanding acoustics, a state of the art Bose sound system and audio visual equipment, 346m2 of performance space and pre-positioned rigs. The 120sqm space, with oak wooden floors and white-washed black canvas walls, can be dressed to suit your event and imagination. 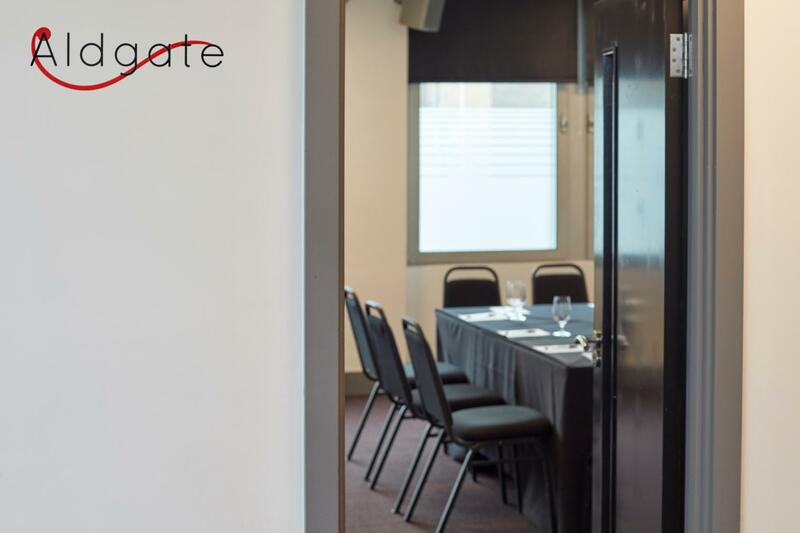 The Queenhithe is a private, versatile and pillar-free space that can be used on its own or in conjunction with the Upper River Room as it boasts a movable wall. The Mermaid London’s blank canvas Newgate is a fully flexible, modern conference, events and exhibition space, that features multiple interconnecting whiteboard walls for creative use, and can be divided into four meeting or breakout spaces; Aldgate, Bishopsgate, Cripplegate, Dowgate. Part of the Newgate event space. You can take over the Foyer & Mezzanine with your companies branding. The Foyer suits any event, from mini-exhibitions and networking to registration. 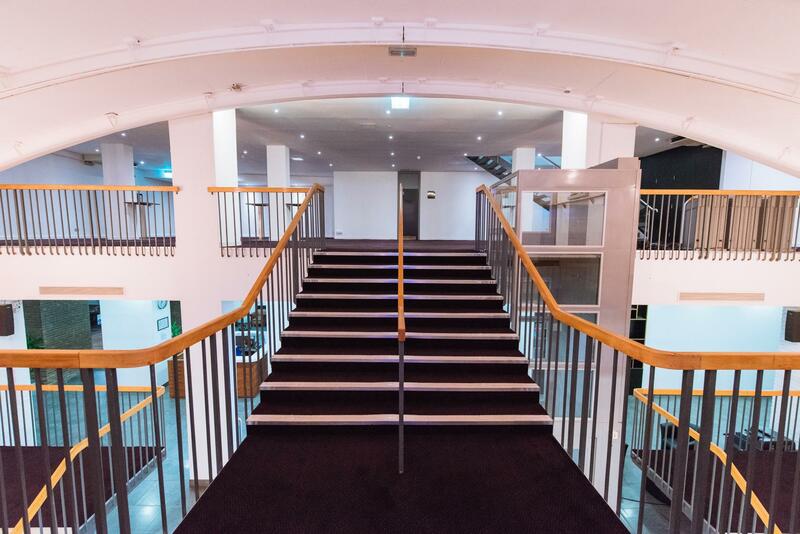 The Mezzanine is often used for coffee breaks or interactive food stations to post-event drinks for delegates who are attending a conference in the Auditorium or Newgate. Both spaces can be used independently or together and can be branded to suit your imagination.